Bollywood's current favourite actress, Nushrat Bharucha has been in news ever since her last movie 'Sonu Ke Titu Ki Sweety' hit the silver screen and became blockbuster of the year. The actress turned 33 and celebrated it with some friends from Bollywood industry. The birthday bash saw Sunny Singh, Rakul Preet Singh, T- series head honcho Bhushan kumar with Divya Khosla Kumar, Luv Ranjan, Varun Sharma and others. 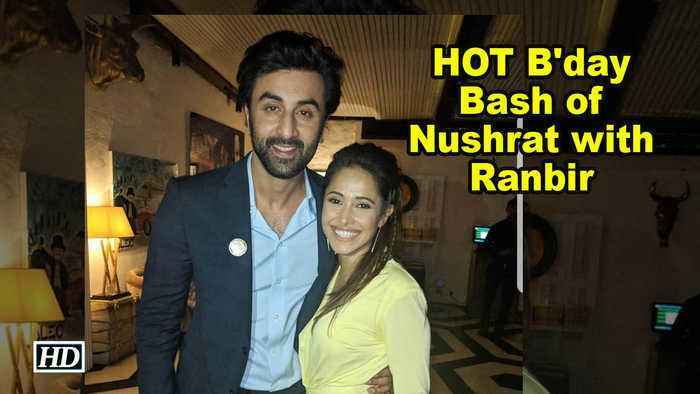 Nushrat was also seen in a click with Ranbir Kapoor, who soon will be seen in Luv Ranjan’s next opposite Ajay Devgan.